The Children’s Respite Trust is delighted to announce that Wendy Marlow is to be the Charity’s new Representative for Sevenoaks & West Kent. The Children’s Respite Trust, has for eight years helped families to get a break from the strain of caring for a disabled child 24 hours a day throughout the South East. However, its work in the Sevenoaks and West Kent area has been limited until now. The charity hopes that the new post will enable the charity to support many more families. The Club’s gift will help pay for costs involved in setting up the Charity’s service in the area. 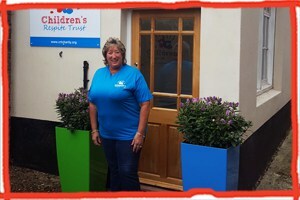 Wendy will be the Charity’s Representative in West Kent. It means that families of disabled children now have a point of contact in the town, as do supporters too. Wendy’s first task is to help spread the word about the Trust, so that families know that help is available. Meanwhile, Wendy is learning all about the Charity’s casework, as well as doing plenty of training. If you have a disabled child in the Sevenoaks area and would like our support, please call Wendy. You can contact our Sevenoaks office on 01732 806856. Alternatively, you can email info@crtcharity.org. ← The Childwick Trust, funds the future of our care!